Why would anyone want to make an expensive machined aluminium laptop look like a dusty old book? We’re not convinced about the reasoning behind the retro styling of the Twelve South BookBook for MacBook Air, but it’s certainly unique. 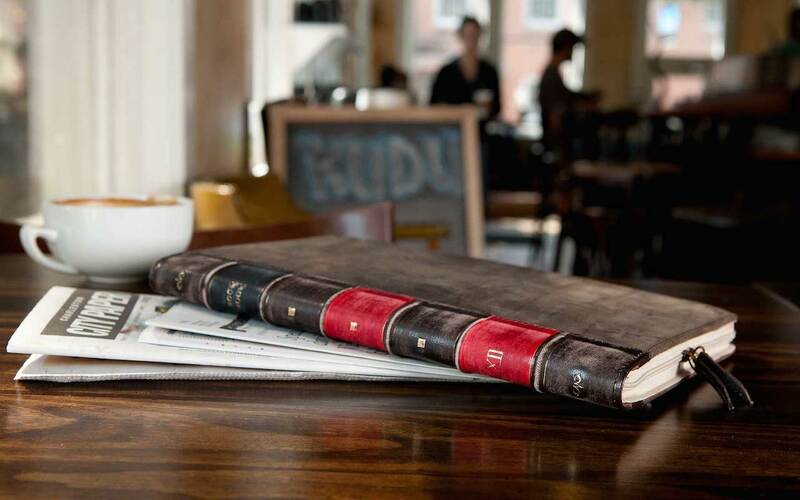 Olde worlde or not, the Twelve South BookBook for MacBook Air is mostly functional. While outside is a red and brown spine and a worn leather-look (though it’s not leather all), inside is a soft interior designed to keep a MacBook Air safe from scratches. Available for both the 11-inch and 13-inch MacBook Air, the Twelve South BookBook weighs either 354g or 381g. It zips-up around three sides to create a pretty sturdy package that can easily be inserted into inflight luggage. However, when unfurled for working, the elastic security tags across the top corners of the screen that keep a MacBook Air in place can’t stop a large space appearing at the top that leaves everything feeling a bit loose. It could also do with some corner fasteners on the keyboard, too. A decent effort, but the Twelve South BookBook for MacBook Air is more about its retro look – one that perhaps offers a secure disguise – than on-the-go- productivity.